Bossiney Castle was an earth and timber ringwork-and-bailey fortification raised in the late eleventh century by Robert, Count of Mortain. It controlled the adjacent haven and the coastal road but was replaced in the first half of the thirteenth century by the construction of Tintagel Castle. Bossiney Castle was built to control Bossiney Haven and the road along the north Cornish coast. It was built by Robert, Count of Mortain in the late eleventh century as he secured control of Cornwall. His main fortifications were along the River Tamar at Launceston and Trematon but he also built at least ten other castles, including Bossiney, spread across the Cornish peninsula controlling key nodal points. 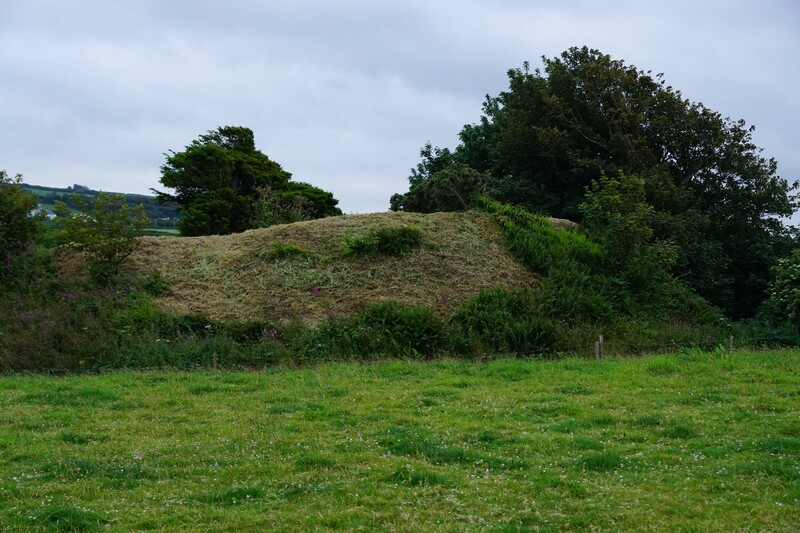 The castle took the form of an earth and timber ringwork-and-bailey fortification and was built upon a prominent ridge overlooking Bossiney Haven. The ring consisted of a substantial earth rampart, which would have been topped by a timber palisade, and was fronted by a ditch. There was a single entrance on the east side. A bailey extended to the immediate west of the ringwork. Bossiney passed to Roger de Mandeville in 1166 and then to his successor, Gervase de Hornicote, circa-1182. 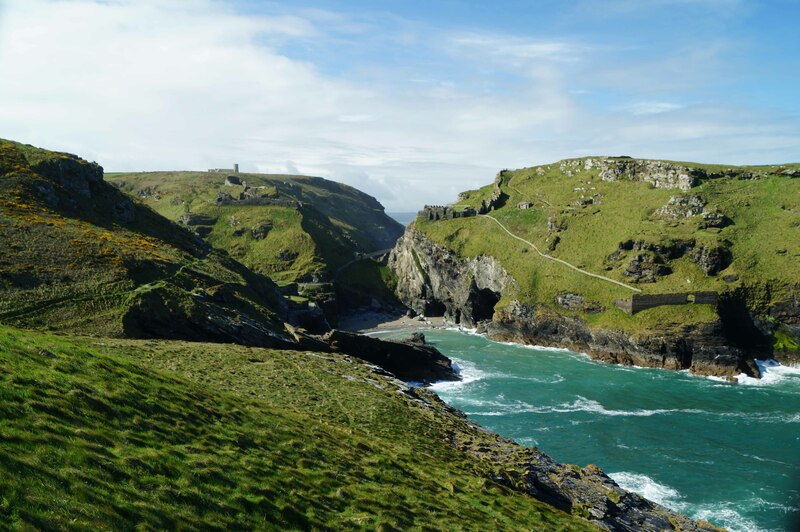 Gervase died in 1207 and was succeeded by his son, Robert, who took the surname de Tintagel, probably to exploit the Arthurian legend that had become associated with that site. When he died, the castle was consumed within the Earldom of Cornwall which was granted to the King's brother, Richard. Around 1230 he built Tintagel Castle on a nearby headland and Bossiney Castle probably went out of use at this time. 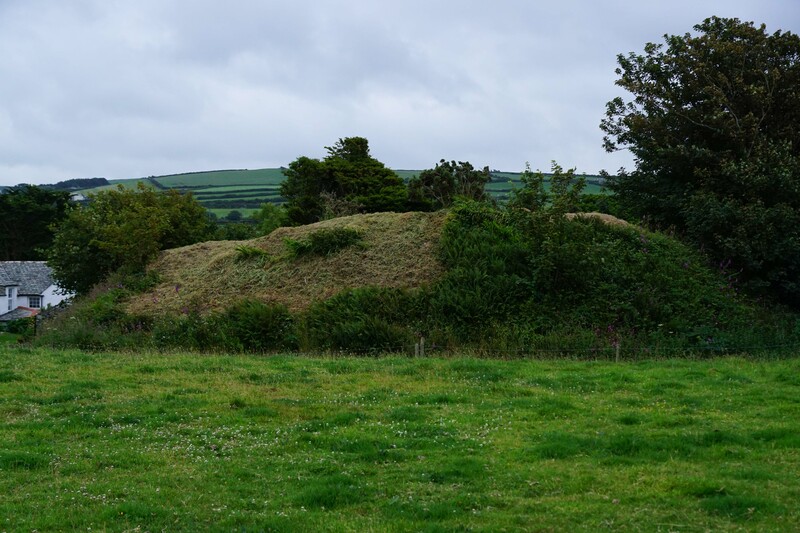 However, the castle mound continued to be used for a variety of community functions including providing a venue for announcing the results of Parliamentary elections. One such MP returned by Bossiney was Sir Francis Drake who was elected by the borough in November 1584. Bossiney was stripped of its right to send an MP to Parliament by the Reform Act (1832). Cornish, J.B (1906). Ancient Earthworks. Daniel, J (1854). A Geography of Cornwall. Historic England (1928). Motte castle known as Bossiney Castle, List entry 1006708. Historic England, London. Padel, O.J (1988). Tintagel in the Twelfth and Thirteenth centuries. Preston-Jones, A (1987). Week St Mary. The Archaeology and Interpretation of a Parish. Historic Environment Service, Cornwall. Rose, P (1992). Bossiney Castle. Cornish Archaeology. Bossiney Castle consists of the damaged earthwork remains of an eleventh century ringwork fortification. The castle is on private land but can be seen from the adjacent road. Ringwork. 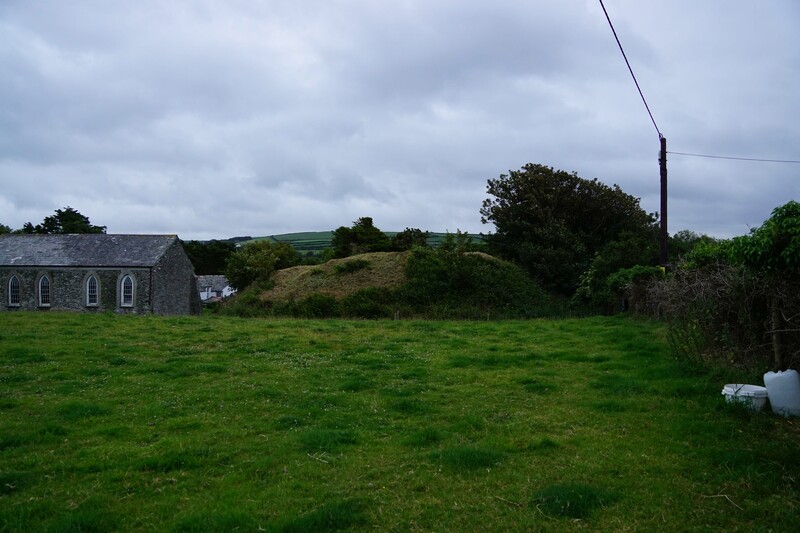 The substantial rampart led nineteenth century commentators to misclassify the site as a motte. Ringwork. The earth bank of the ringwork is clearly visible from the adjacent road. Tintagel Castle. Bossiney Castle probably went out of use when Richard, Earl of Cornwall constructed Tintagel Castle less than one mile away. Bossiney Castle is found off the B3263 around 0.5 miles to the east of Tintagel. On-road car parking is possible.